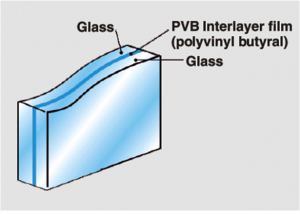 Laminated glass is two or more panes of glass with one or more layers of polyvinyl butyral (PVB) sandwiched between them and treated. 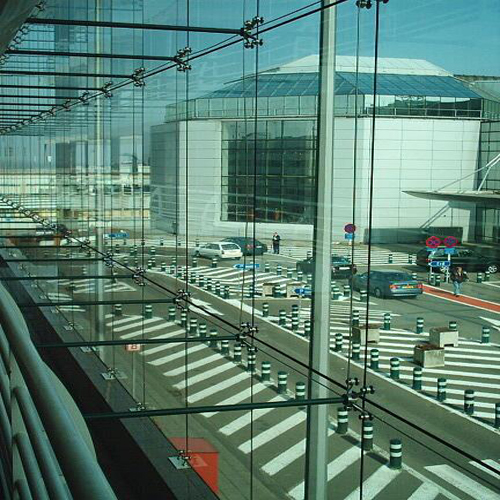 The glass panes can be basic float glass or tempered or heat strengthened panel. 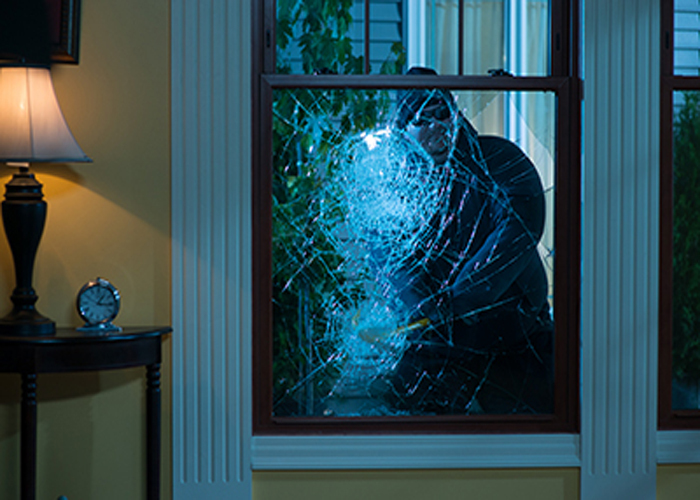 If the glass is broken, fragments tend to adhere to the PVB inter layer thereby reducing the risk injury from falling glass and helping to resist further impact or weather damage. 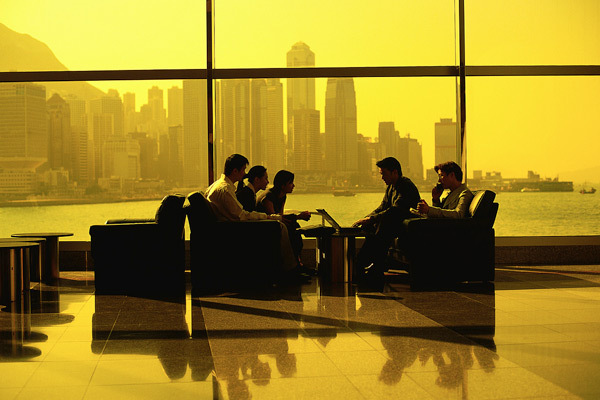 It is most suitable wherever safety, security, noise control or UV control is a requirement. 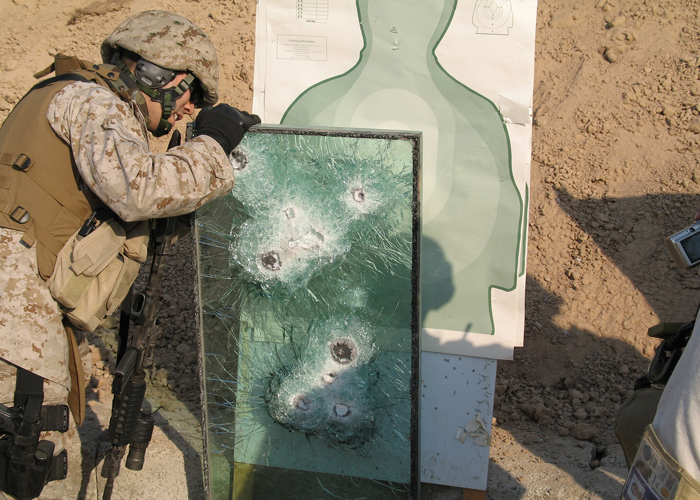 The single largest use of laminated glass is in automobile windscreens. 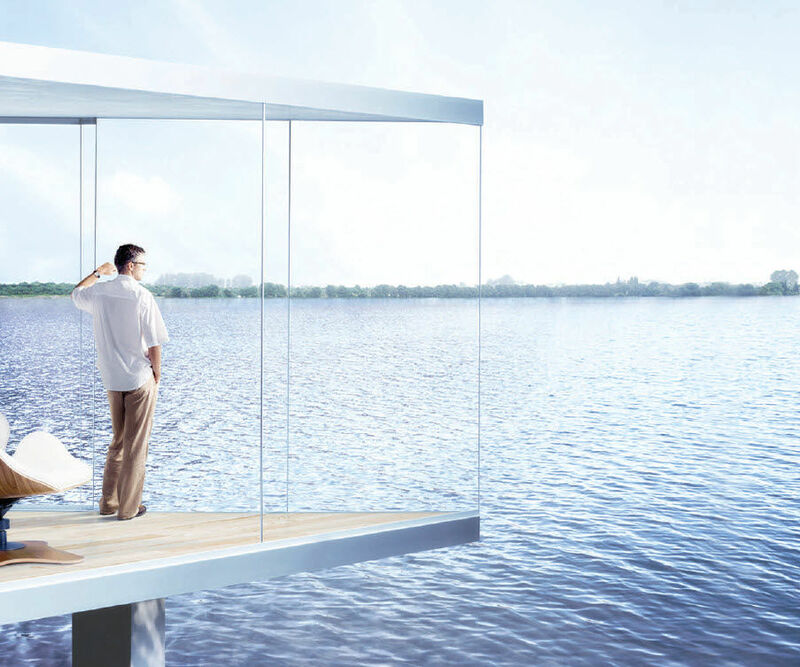 Glass can also be laminated with special PVB like – Coloured PVB in transparent, translucent and opaque, Acoustic PVB for improved acoustic performance and Sentry Glass for better structural strength. 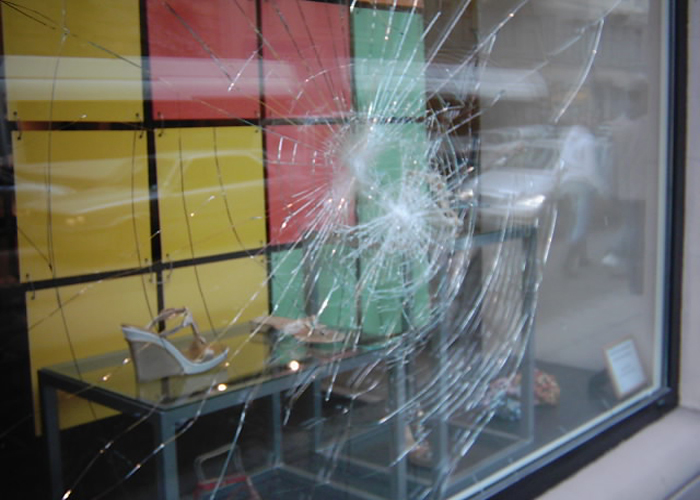 Laminated glass doesn’t shatter like ordinary glass. 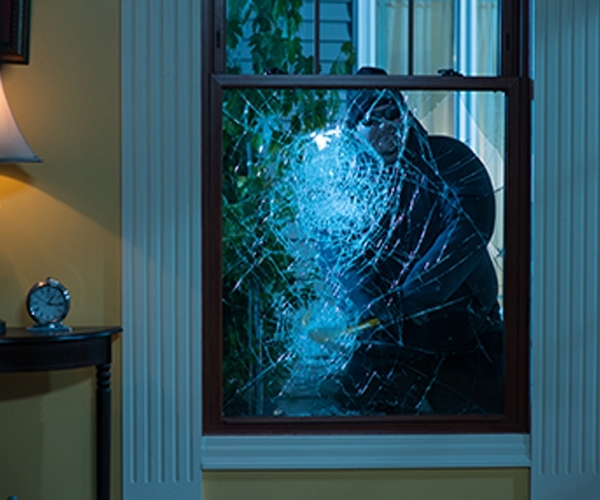 It absorbs impact, resists penetration and remains in glazing even if broken. 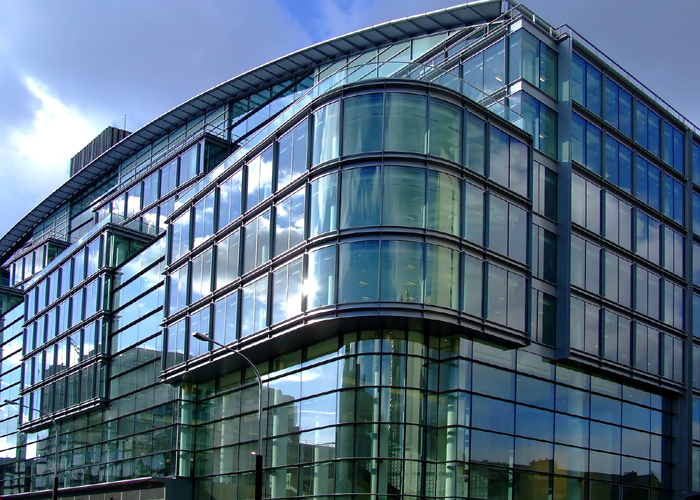 Laminated glass resists intrusion because the inter layer continues to safeguard the building even after the glass itself is broken. 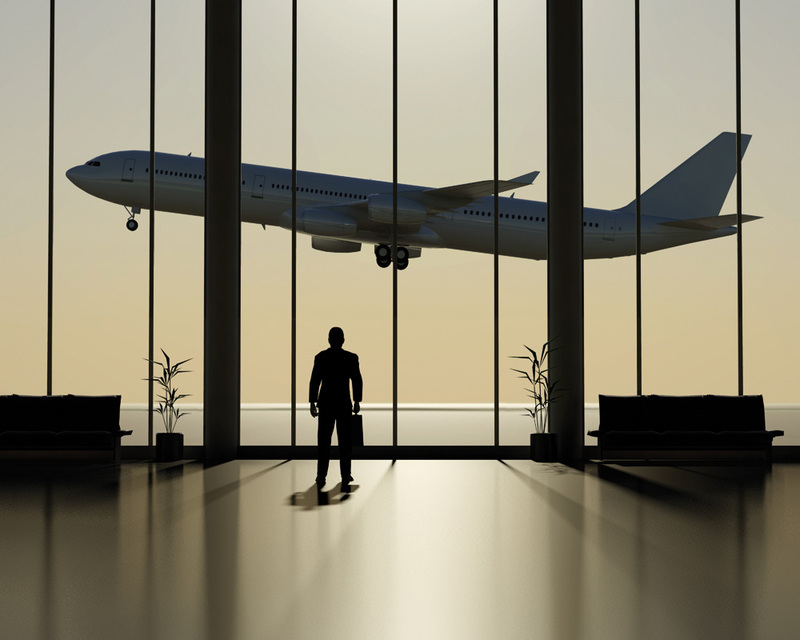 Laminated glass is an excellent barrier to noise. 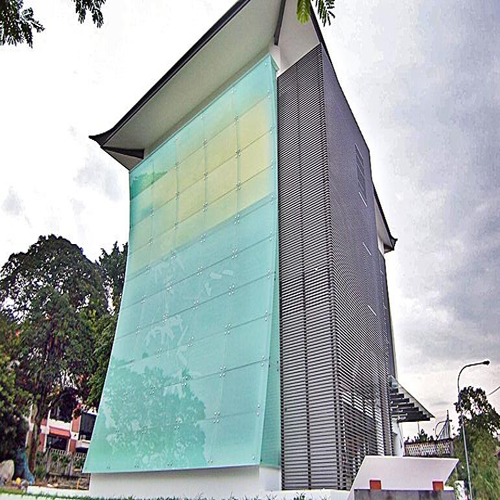 The sheer damping performance of the plastic inter layer make the laminated glass an effective sound control product. 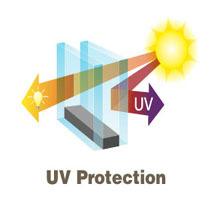 Laminated glass screens out 99% of the sun’s damaging rays, protecting interior furnishing, displays or merchandise from fading effects of UV radiation. 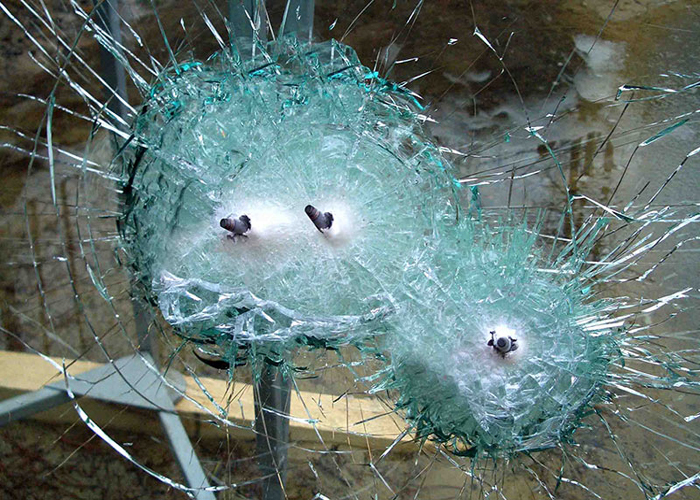 Laminated glass remains in the frame and deter glass shards from flying. Sizes upto 3000 X 5000 mm. 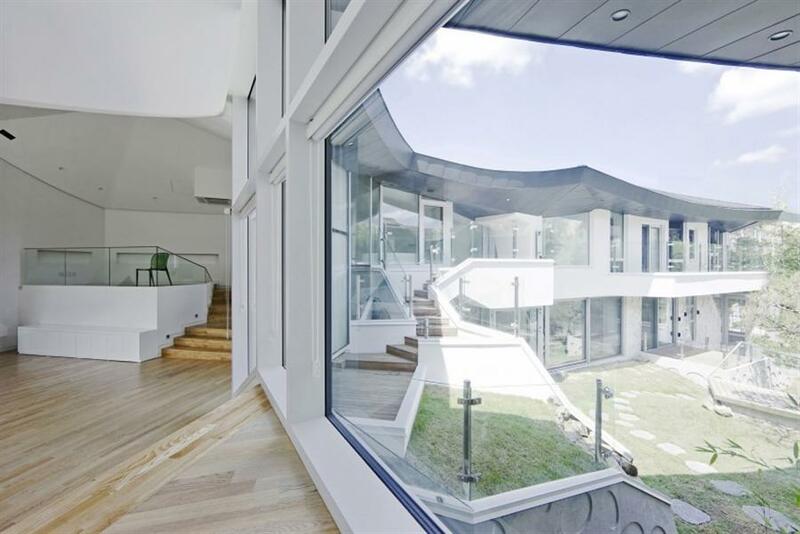 A full range of clear, tinted and reflective glass combinations and thickness. Clear PVB of 0.38mm, 0.76mm and multiples of 0.38 mm thickness. Colored PVB on special bulk orders. 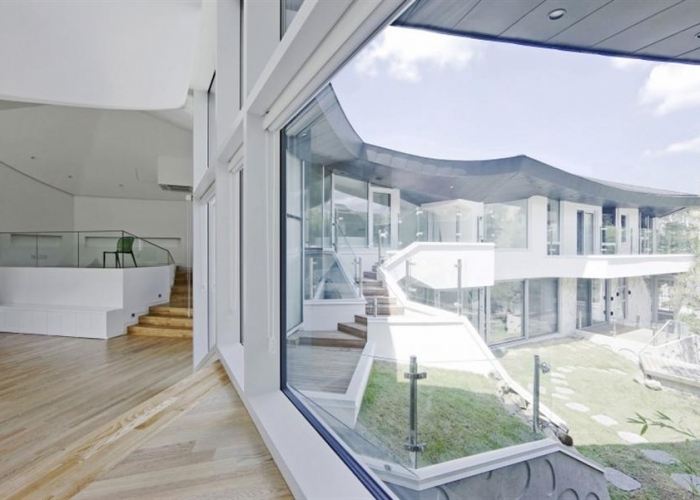 Diverse glass combinations available in single and double glazing. 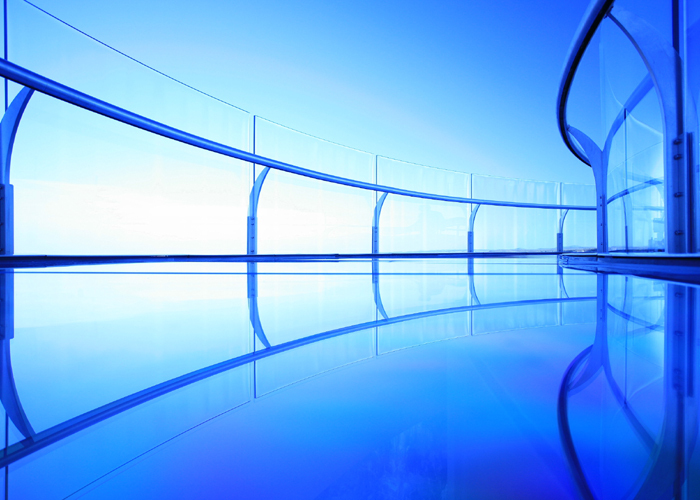 First in Architectural Laminated Glass in India with over 30 years of experience in glass processing. Processing in Greater Noida. 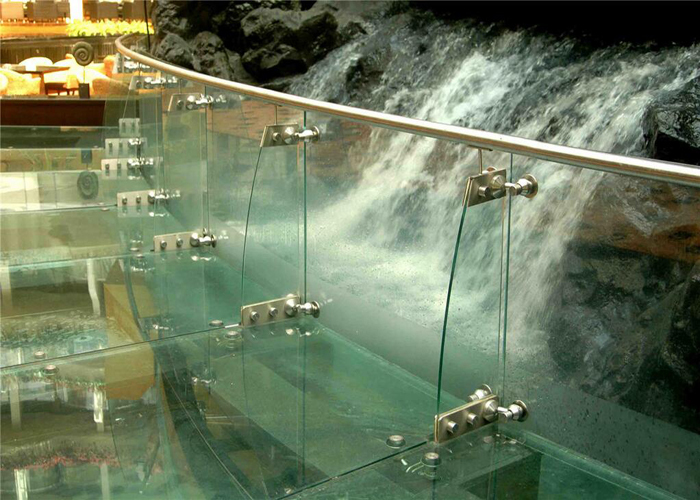 Vast experience in making Laminated glass and complex combinations. Perfect edge match. Using German grinding technology. Matching of holes on CNC. Automatic production lines for fast and accurate delivery. Under the quality certification program DuPont and processing as per international standards like EN and DIN. Only best quality European PVB form Trosifol and DuPont used. 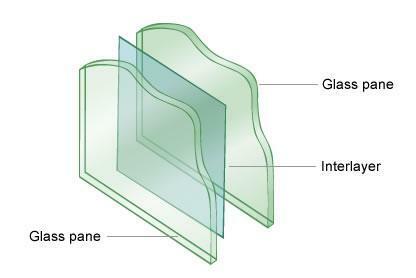 HOW LAMINATED GLASS IS MADE ? The production process involves perfect cleaning of the glass panes in multi chamber glass washing and drying machine using filtered and De-ionized water and treatment chemicals. 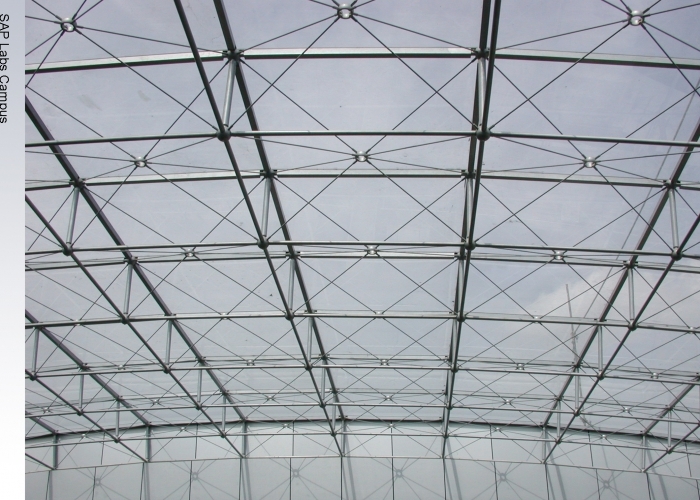 These panes are then mechanically transported to a clean and controlled atmosphere chamber, where the temperature and humidity are strictly maintained as per standards since unprocessed PVB is extremely sensitive to moisture and temperature. PVB is then applied in this lay-up room and the sandwich of glass and PVB is passed through preheating chamber, pre nip rolls, secondary heating and final nip rolls to squeeze out air bubbles and provide primary bonding. The sandwiches are then stacked in a high pressure autoclave where PVB is cured under high pressure and temperature as per heat pressure cycle chart. The entire processing is done with computerized state of the art machine and technical assistance of M/s. Scholz of Germany and DuPont of USA. 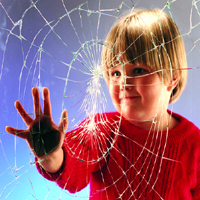 All basic products, heat strengthened glass and toughened glass can be laminated. 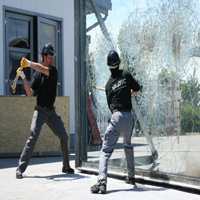 WHY LAMINATED GLASS CONSIDERED AS SAFETY GLASS ? 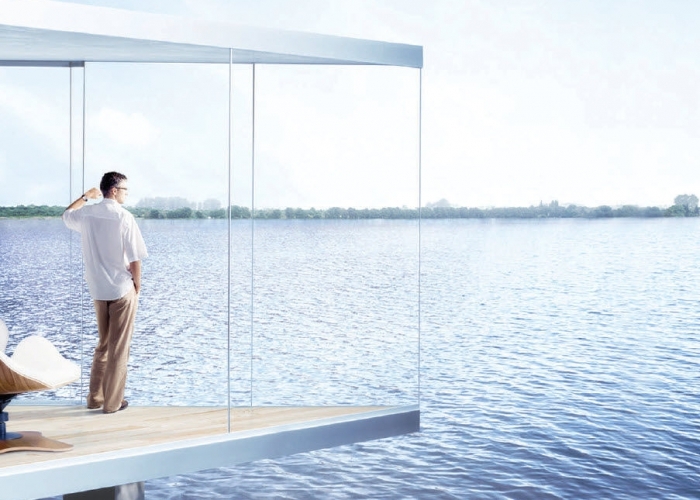 HOW DOES LAMINATED GLASS CONTROL SOUND ? 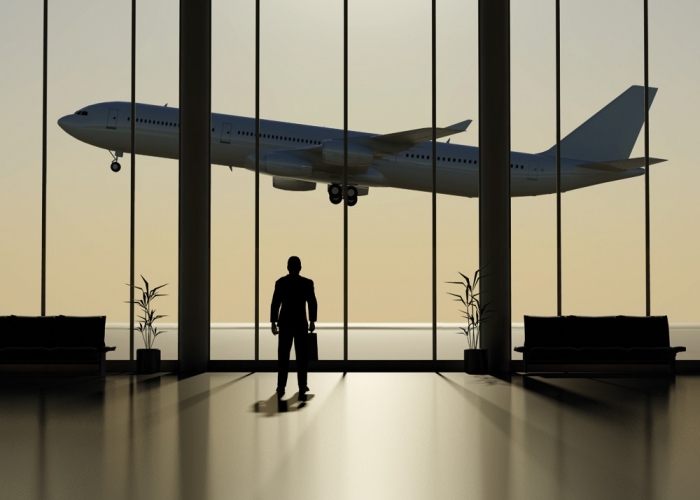 Laminated glass is an excellent barrier to noise. 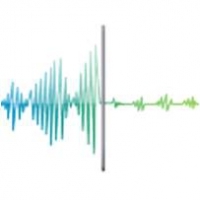 The sheer damping performance of the plastic interlayer makes laminated glass an effective sound control product. This makes it ideal for Airports, Hotels, Highways etc. WHAT ARE THE MATERIALS USED FOR MAKING LAMINATED GLASS ? 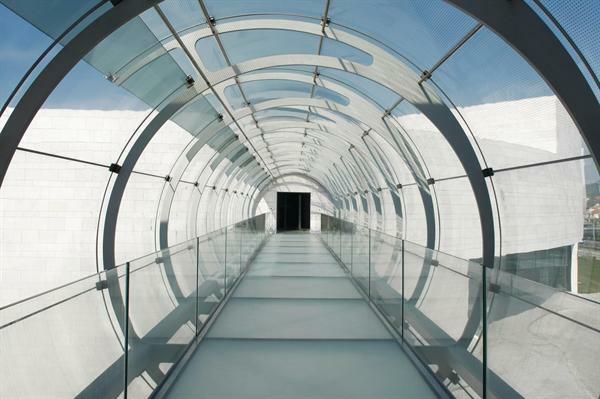 WHAT IS THE LIFE OF LAMINATED GLASS ? 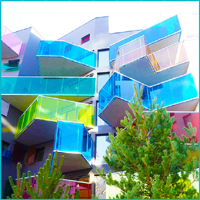 Laminated glass retains its color and strength for the life of the building. 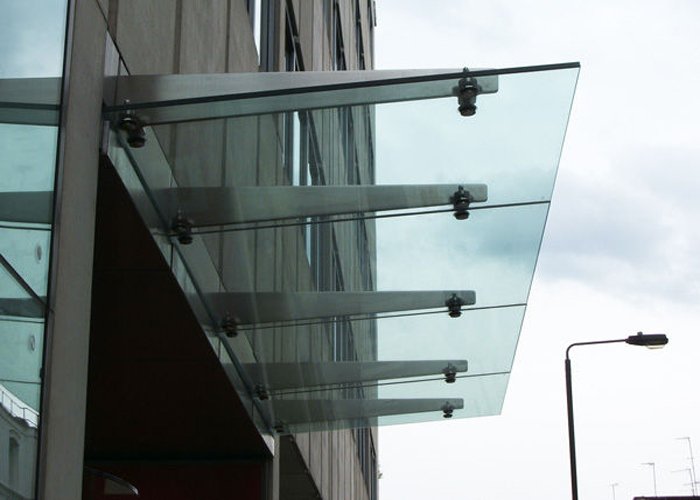 CAN WE LAMINATE TEMPERED/TOUGHENED GLASS ? 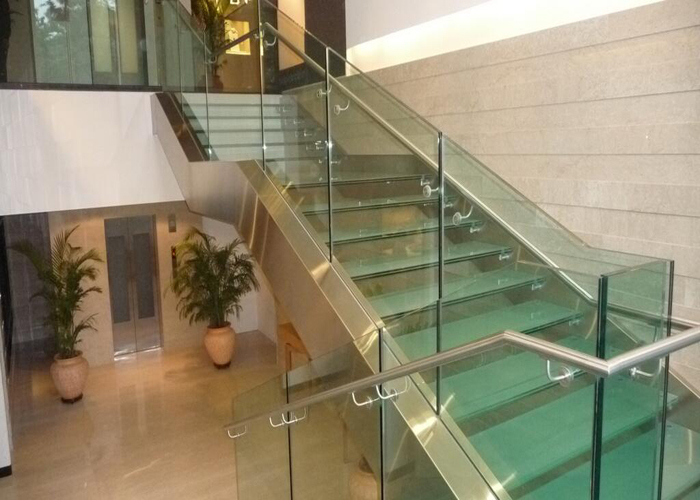 Yes, we can laminate tempered/toughened glass. 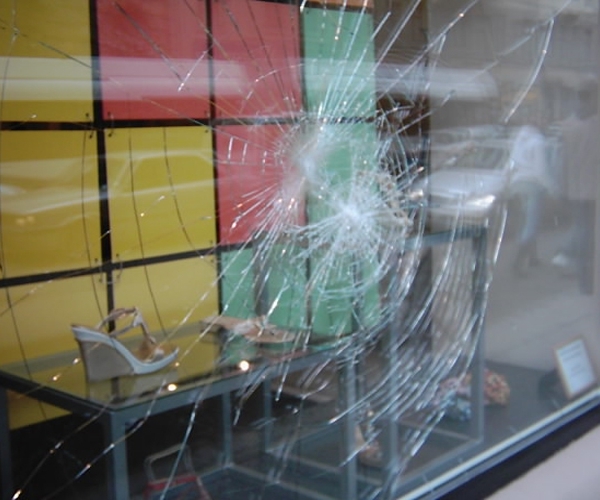 WHAT ARE THE PRECAUTIONS WHILE USING LAMINATED GLASS ? 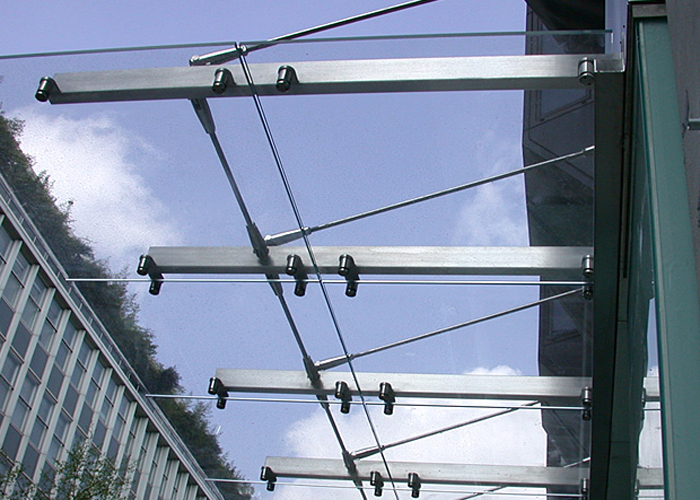 In sloped glazing, the added weight of laminated glass must be taken into consideration when determining load limits and installation techniques. 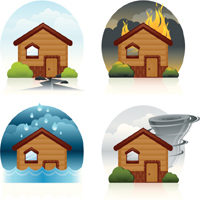 The edges of a laminated lite must not be exposed to any prolonged contact with moisture. Consideration must be given to the use of weep holes or other alternate glazing procedures to assure a dry framing cavity. 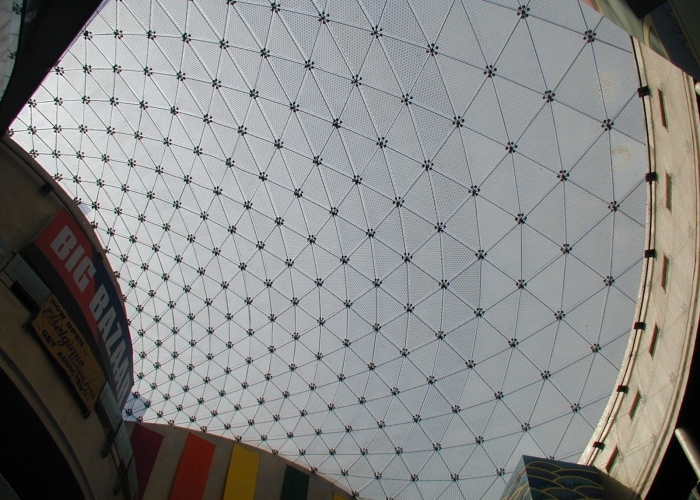 Edge delamination is possible in silicone structural glazing applications if precautions are not taken. U-values may vary by a small amount. 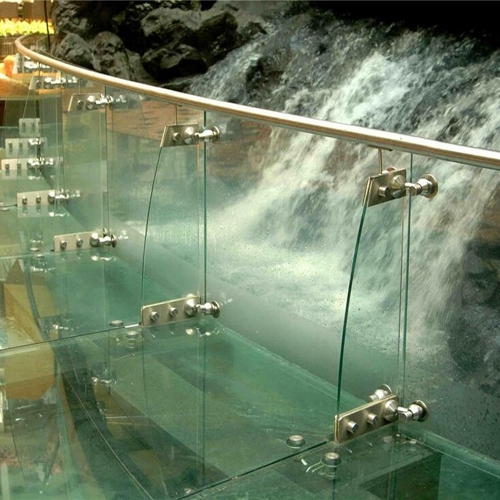 Laminated glass is made by joining two or more sheets of glass with a plastic medium, mostly PVB, between the sheets. 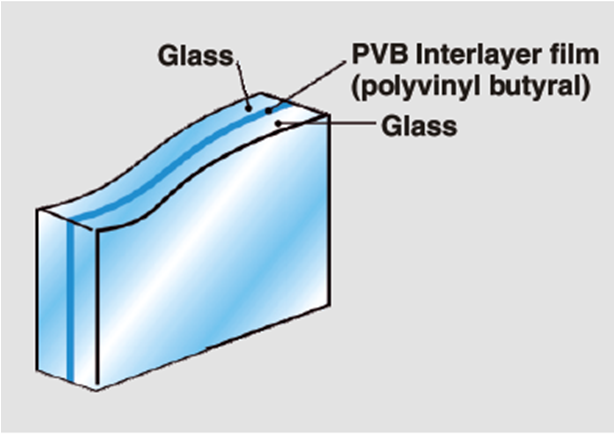 PVB itself adheres well to glass. Laminating can also be done with certain resins. 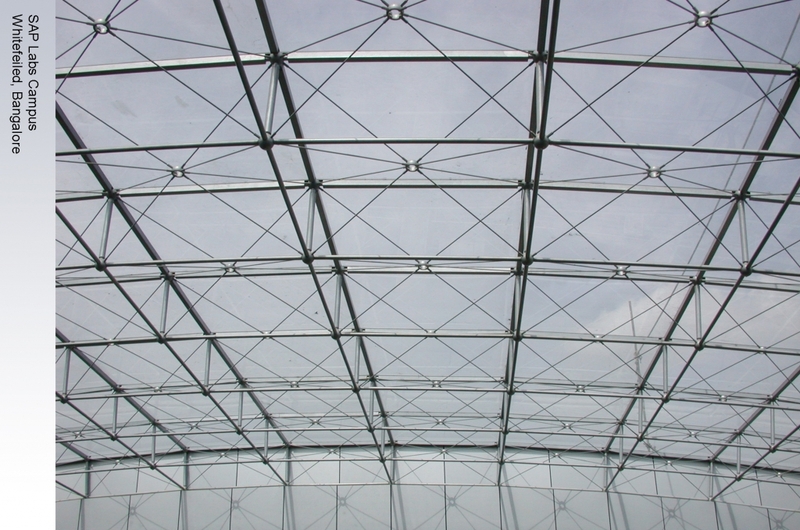 Some suppliers use PVC instead of PVB or use cheap resins, which are difficult to make out at the time of supply but these materials will most certainly discolor and delaminate in a short period and such glasses will have to be changed. 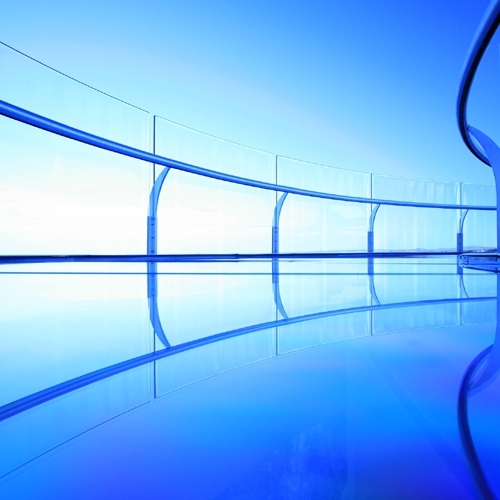 wHAT IS THE MAXIMUM THICKNESS OF LAMINATED GLASS ? 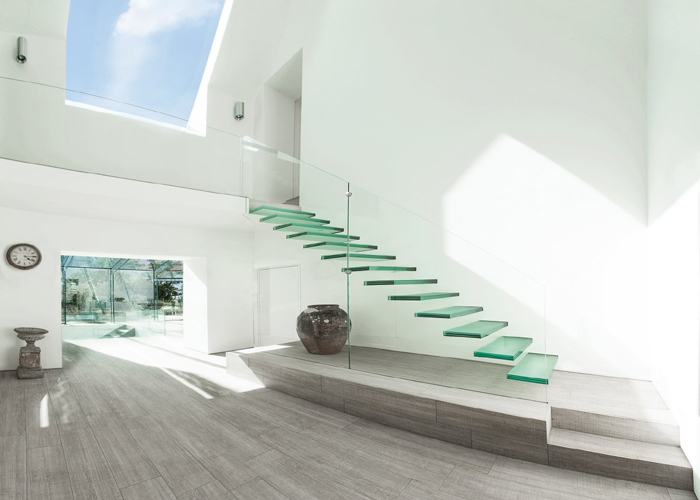 60 MM is the maximum thickness of laminated glass which can be reached through multiple glass and PVB inter-layer combinations. 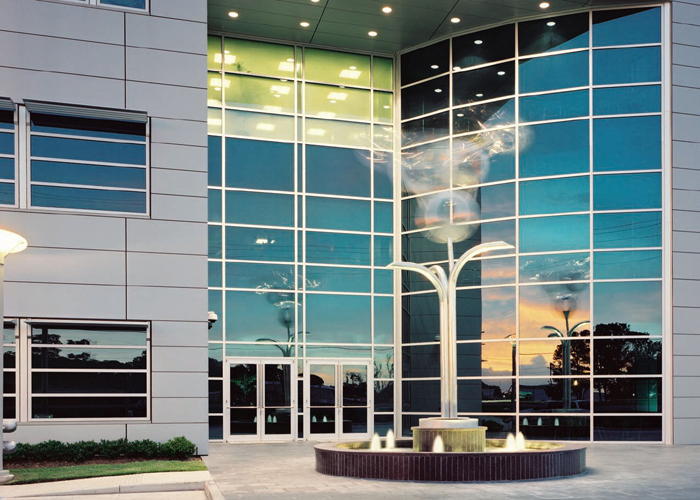 IS LAMINATED GLASS GOOD FOR HEAT REDUCTION ? No, Laminated glass is not good for heat reduction.